Jeff Cohen, WNPR's News Director, is a proud New Orleans native who now calls New England home. Or at least his second home. He started in newspapers in 2001 and joined WNPR in 2010, where he has worked as a reporter and an occasional fill-in host for All Things Considered. In addition to covering state and Hartford city politics, Jeff covered the December 2012 Newtown shootings and the stories that followed. Much of that work was featured on NPR. Also in 2012, Jeff was selected by NPR and Kaiser Health News for their joint Health Care In The States project. That work resulted in several national stories, including ones on the Affordable Care Act and medical education. Jeff was also selected by the Tow Foundation and the John Jay College of Criminal Justice as a fellow in their 2012 juvenile justice reporting project. Before working at WNPR, Jeff worked as the city reporter for The Hartford Courant. While at the Courant, he won a National Headliner Award for a Northeast Magazine story about the ostracized widow of the state's first casualty in Iraq; wrote about his post-Katrina, flooded out home in New Orleans; and was part of a team of reporters that broke the stories of alleged corruption at Hartford City Hall that led to the arrest of former Mayor Eddie A. Perez. He also worked at the Meriden Record-Journal and as a freelancer for The New York Times. Jeff lives in Middletown with his wife, cats, and two trouble-making kids. Thanks to the kids, he's now writing children's books. The first, Eva and Sadie and the Worst Haircut Ever!, came out in June 2014. The second, Eva and Sadie and the Best Classroom Ever!, comes out in June 2015. He likes to make bread and wine. 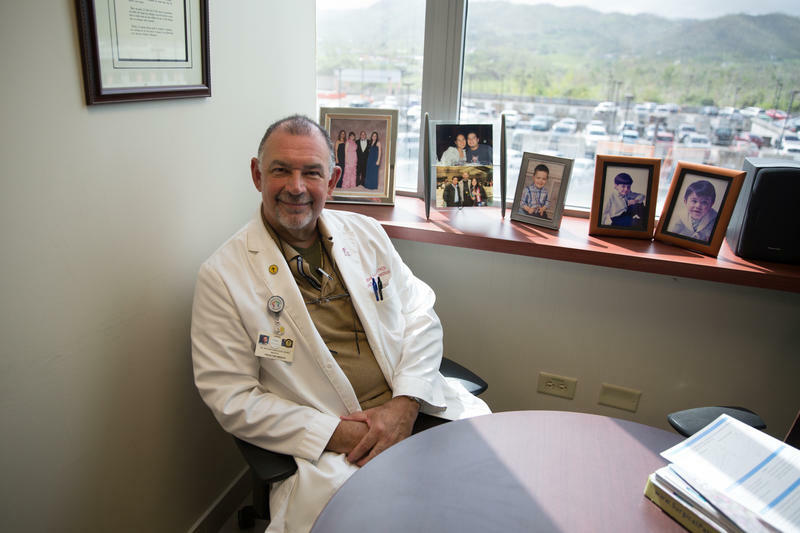 When we met Dr. Bolivar Arboleda Osorio in the city of Caguas a few weeks back, he talked about his experience treating patients in the aftermath of the storm -- first came the trauma victims, then came the chronic and severe cases that were becoming emergencies as time dragged on and the lights stayed off. Electronic records were stuck in the cloud. Patients, not able to call for an appointment, just showed up. We drove to Caguas, a city south of San Juan, four weeks after Hurricane Maria hit. Our guide was Luis Cotto -- a former Hartford city councilman now living in Cambridge, Massachusetts. We traveled to Puerto Rico to tell stories; he traveled to deliver thousands of dollars in inflatable solar lights and water filters to people who need them, including members of his family. Blanca Ortiz-Torres was sitting in a Puerto Rican oasis. She was at a working bakery in the tiny mountain town of Maricao that had both a generator and a cistern and, as a result, could serve cold drinks, hot coffee, fresh pastries, and pizza. 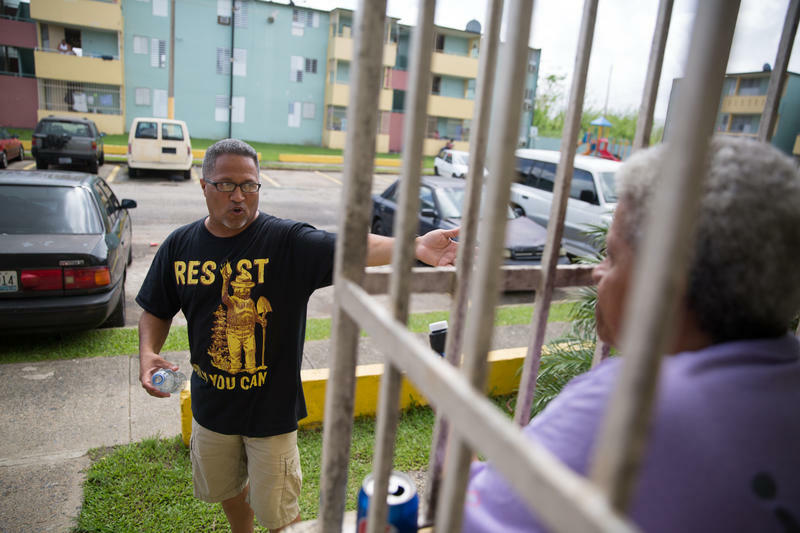 Hurricane Maria hit Puerto Rico on September 20, and a month later, clean water continues to be hard to come by for some residents -- particularly those in more rural parts of the island. Guillermo Class just couldn’t wait any more. The reports he was getting from his two teenage sons living in Puerto Rico weren’t good. Food and water were getting to them and their mother. But not enough.